The legislative session is always an exciting time; well, to me anyway. The session is full of both expected and unexpected twists, turns, and developments. It is the place where advocacy is preached, prized, and practiced. Senators, advocates, lobbyists, and concerned citizens propose and respond to new ideas; each has an important role to play in the swashbuckling policy discussion, and we love being right in the middle of the fray. Some issues are big, some controversial, and some more mundane, but rarely is there truly a dull moment. Disability Rights Nebraska achieved many successes this session. Our recognition as a key resource in terms of public policy impacting people with disabilities continues to grow. Disability Rights Nebraska also engaged the legislative policy debate through some new avenues and were involved more directly in legislative debates. We penned an editorial in the Omaha World Herald arguing against Legislative Bill 595 which would allow teachers or school administrators to use physical force or restraint (without any restrictions or accountability) to subdue students who are deemed physically violent to themselves or others or who exhibit destructive behavior toward school property. (That editorial can be found here: http://tinyurl.com/mtxhnx4 ). What the research tells us is that students with disabilities are subjected to this type of discipline disproportionately more than students without disabilities; such methods are not used on students who exhibit truly threatening behavior; and use of these interventions significantly increases the risk of student and teacher injuries. 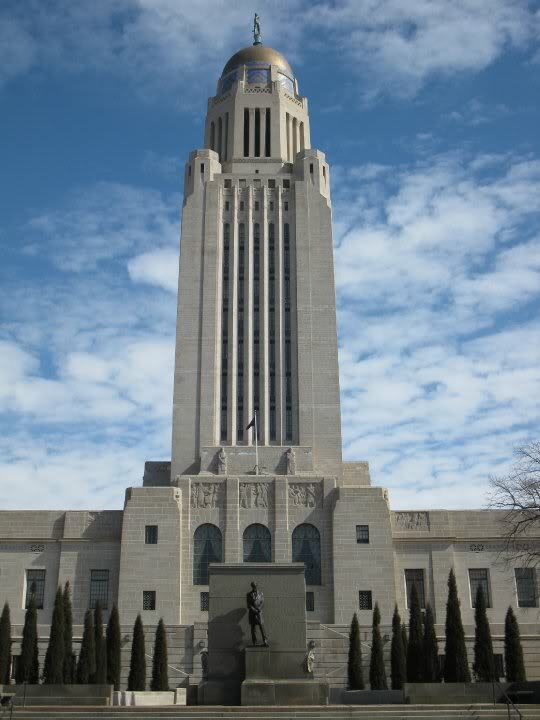 Disability Rights Nebraska was invited to participate in meetings with senators to inform and help them strategize, prepare, and successfully filibuster LB 595. We also provided amendment language for a Quality Management Plan to assess and evaluate the quality of state developmental disability services and have been working with state policymakers on the design and implementation of the Quality Management Plan. I encourage you to visit our website, www.disabilityrightsnebraska.org to learn more about our public policy work, legislative agenda, and our position on state legislation. *Since this is the 1st session, many bills were not killed outright, but are being held in committee or on General File. Thus they are still able to be carried over into the next session. Of the 667 bills introduced only 62 were killed outright.